Safari and Chrome use the same storage location for SSL certificates on Mac OS X. This process will install the SSL certificate for both browsers. 1. 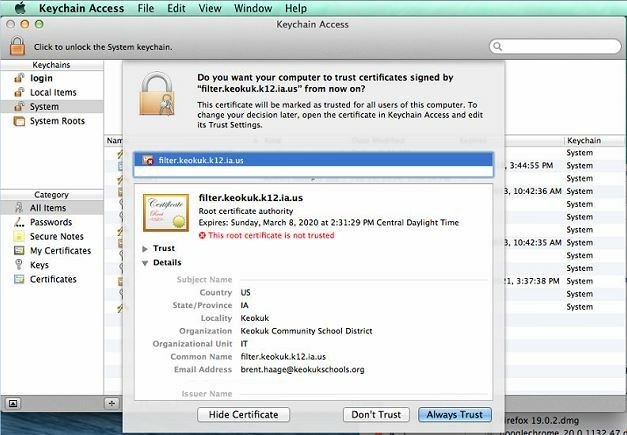 Open Safari or Chrome, and download the certificate file by navigating to filter.keokuk.k12.ia.us.crt. You may see dialog boxes as shown below, depending on your browser settings. Otherwise, the file will download into the default download directory. 2. 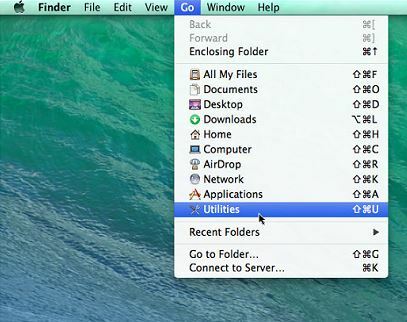 From the Go menu, click Utilities. 3. 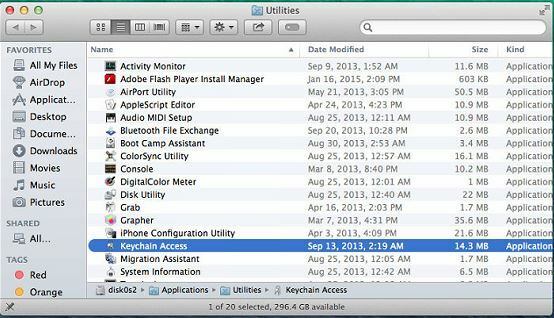 Launch the Keychain Access utility. 4. 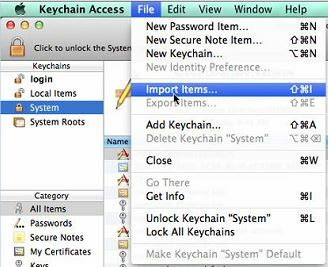 Under Keychains, click System. 6. 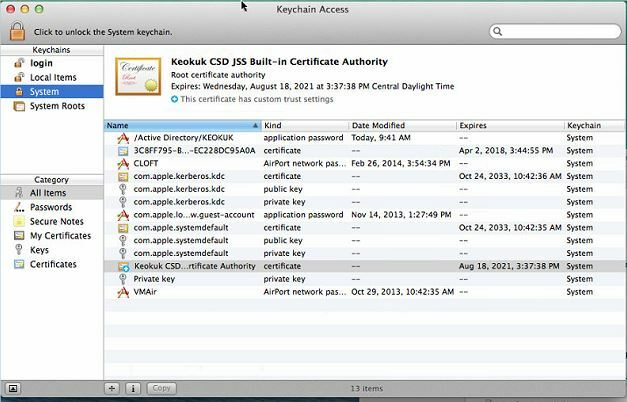 Choose the certificate file from the default download direction from step 1. 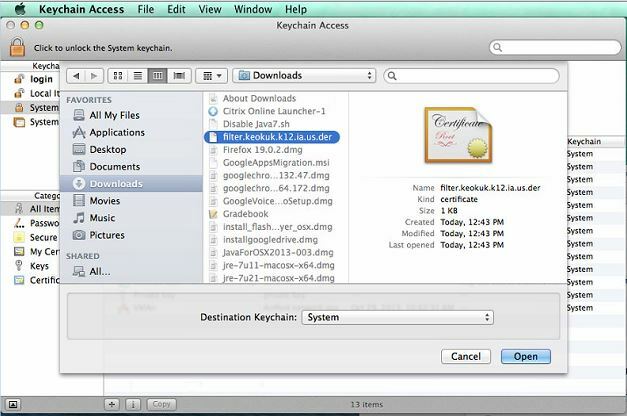 Verify the Destination Keychain is System. Click Open. 7. Click the Always Trust using your user credentials. If you have issues, please contact technical support for further assistance.